Better distance control with the precision-milled face with polymer insert. Better target direction from the use of the unique dual sight lines. Improved accuarcy with polar heel-toe weighting which reduces head twist from off center hits. This attractive putter has many highly regarded qualities, sought after by more and more golfers for its superb design, performance, and workmanship. 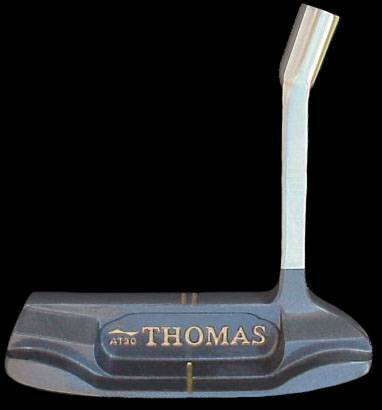 The Left-Handed AT-30 Thomas putters are similar in design to the AT-40 Model, but with some key differences.The AT-30 is made of pure surgical stainless steel, and completed in a two-tone combination finish of metallic charcoal enamel and brushed steel. The precision milled face has a polymer insertto deliver a controlled feel at impact. Eachputter is custom built to your personal height, build, hand size, and shaft preference. The slanted hosel presets hands at address, and it's long thin design transmits detailed feel of putter head and face impact. 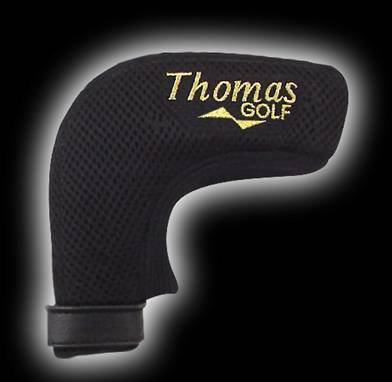 Like all Thomas Putter designs, the AT-30 includes the bi-level dual sightlines golfers are praising about. 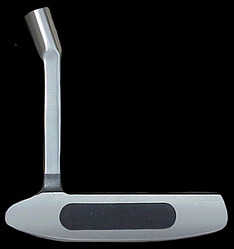 The AT-30 putter is distinguished by a two-tone combo finish. The visible surface during the putting stroke is classy charcoal to reduce glare, while the other putter surfaces are an elegant brushed steel for timeless durability. Loft: 3° , Lie: 72° Custom Length choices.